9,600 sq. m / 103,334 sq. ft. of the Copper Age. The outdoor archaeological museum near the location where Ötzi the Iceman was found in the Schnals Valley (Schnalstal/Val Senales) of Alto Adige/South Tyrol shows where and how Ötzi and his contemporaries lived 5,300 years ago. In concrete terms, that means: we reconstruct prehistory and, in so doing, make it accessible and comprehensible. Our playful and creative approach is possible because our colleagues at the South Tyrol Museum of Archaeology in Bolzano take care of the conservation and presentation of the glacier mummy and the objects that were found with him. In the permanent exhibition, visitors will find text tables, pictures, objects, hands-on activities, reconstructions that are true to the originals of the clothing and equipment of the man from the ice, films and a scale model of the hollow Ötzi was found in. The reconstructions are there to be touched. Temporary exhibition are organized regularly. In the open-air area, there are nine actual-sized models of houses from the time of Ötzi. The basis for their construction was the findings from archaeological excavations. The houses were built with materials that are true to the originals and form three different groups: Houses Alpine Valleys, Houses North Alpine Foreland and Houses Po Plain. They show how people built and lived in the Alps, south and north of them. The discovery of Ötzi makes visible how large the variety of useful plants was at the time. In the archeoParc open-air area, for example, nearly twenty different types of wood grow that Ötzi used. The archaeobotanical fields and gardens also contain types of grains and legumes that Ötzi also once cultivated: barley, einkorn, emmer, lentils, peas, broad beans, poppies, and flax, as well as other plants that were gathered and those used for dying. One special highlight of the visit is the direct view of the site where Ötzi was discovered at the Tisenjoch (3,210 m/ 10,532 ft.) The archeoParc is separated from the discovery site by five kilometers (three miles) as the crow flies, 1,700 meters (5,600 feet) of elevation difference, and a full day’s hike. Having fun with prehistory is not a matter of age! Both children and grown-ups can see who’s the best in the archeoParc. At the daily participation program, visitors can try out handicraft techniques that are thousands of years old. This is the place for your first attempts to shoot with a wooden longbow like the one Ötzi used. After the introduction, it’s on to drawing the bow and aiming at the targets ( disks and four 3-D animals). With suitable weather. 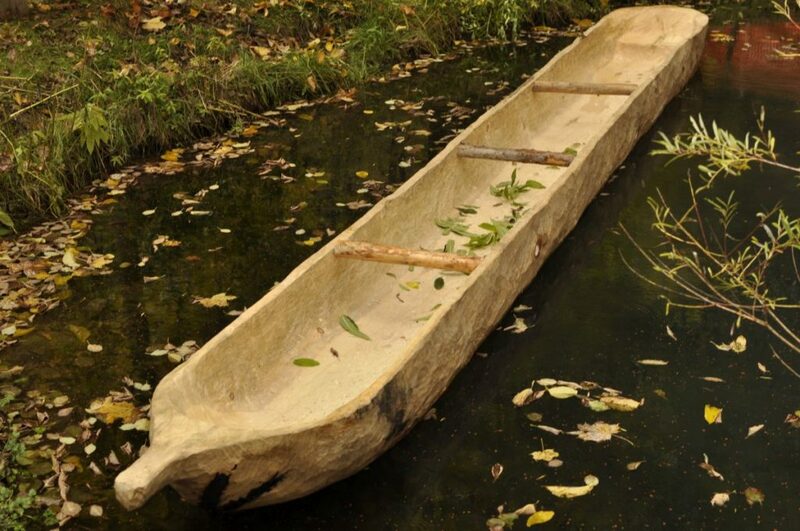 Here you can see a six-meter dug out made out of silver fir trunk. With a member of the museumstaff on board you can try to navigate through the open-air area on a canal. With suitable weather. A millstone and a so-called “clay dome oven” show how simple it was in the time of Ötzi to grind grain kernels and bake bread. Anyone who wants to can try out a fun variation by themselves: wrapping the dough around a stick made of hazelnut wood and baking it over the hot embers of the fire. Ernst Gamper and his team will show what works best. Flint, animal pelts, linden weaving… these days, we hardly have any contact with the materials of Ötzi’s time. In the Short Workshops that change daily, you will learn what was made from what at the time and how it worked. It requires the desire, the respect, and the time. You get to take your finished piece home as a souvenir. Every day at the archeoParc, you will see demonstrations on how to make fire the way Ötzi did: with two rocks (pyrite and flint) and a tree fungus (tinder fungus). The Museumscafé and the Bookshop in the archeoParc offer the perfect invitation for passing the time and browsing. Just another way to enjoy your day while on our premises! 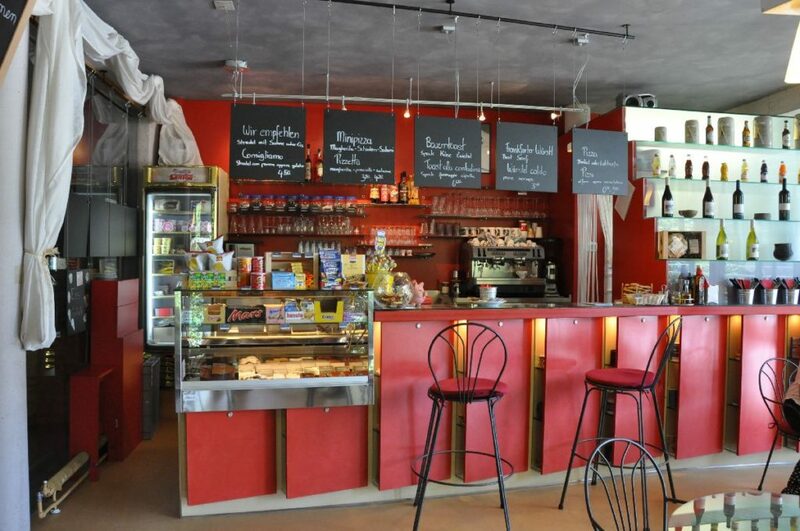 The café on the third story with its panorama view is the perfect place for the hungry and thirsty: Hannelore Tumler and her team serve both hot and cold drinks, snacks, cakes, and packaged ice cream, as well as wines and distilled spirits from our region. All orders are also available to go. Those with a desire to flip through some items of interest will find plenty of material in the reading corner. We have put together for you a selection here from our library. There is also a smoking area on the café veranda. From time to time, small exhibitions, lectures, and other events are also held in the Café. The space may also be rented for private functions. At the beginning and the end of your visit, you will pass by the museum gift shop on the ground floor. This is where you will find books, clothing, toys, postcards, and a variety of souvenirs. Martha Pazeller and her team will be pleased to advise you! Some products have been specially made for the archeoParc. For example, South Tyrolean handbag designer Maria Puff Gius designs special bags and sews them from used archeoParc promotional banners. Your purchase in our shop also supports our educational activities. Toys, stuffed animals, rattles, looms, crayons, cup magnifying glasses, carving knives suitable for children, etc. Fire steel, postcards, soap from sheep’s milk, jewelry, containers made from birch bark, needles and pearls made from bone, wooden arrows with flint tips, minerals, breakfast bowls, pencils, broaches, key chains, bookmarks, cookie cutters, audio books, CDs, etc. Do we also ship items? We will be pleased to also ship you our products by mail with prepayment and the additional charges for shipping and handling. The handling charge of 5 euros is waived with orders of 50 euros or more. The archeoParc is an archaeological open-air museum with a visitor center in Val Senales valley in northern Italy. The subject of the exhibitions and the daily programs is how Ötzi the Iceman lived here in the Alps 5,300 years ago and the nearby glacier-site where he was found.